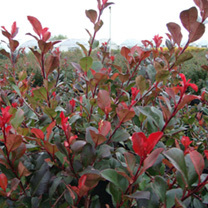 Photinia Little Red Robin is an evergreen shrub that provides a wonderful show of coloured foliage. The new growth in spring and summer is bright red providing a real impact before slowly maturing to green in winter. A compact shrub best grown in a sunny position. Height 1m; spread 1m. Supplied in a 7.5-10 litre pot. 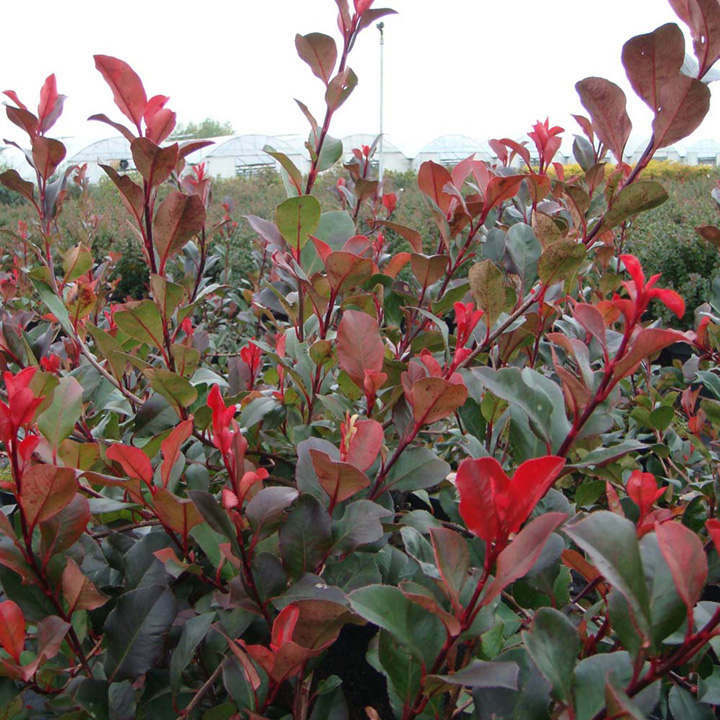 Photinia Little Red Robin is an evergreen shrub that provides a wonderful show of coloured foliage. The new growth in spring and summer is bright red providing a real impact before slowly maturing to green in winter. A compact shrub best grown in a sunny position. Height 1m; spread 1m. Supplied in a 3 litre pot or 7.5-10 litre pot.